Mega Home Water Distiller – white. 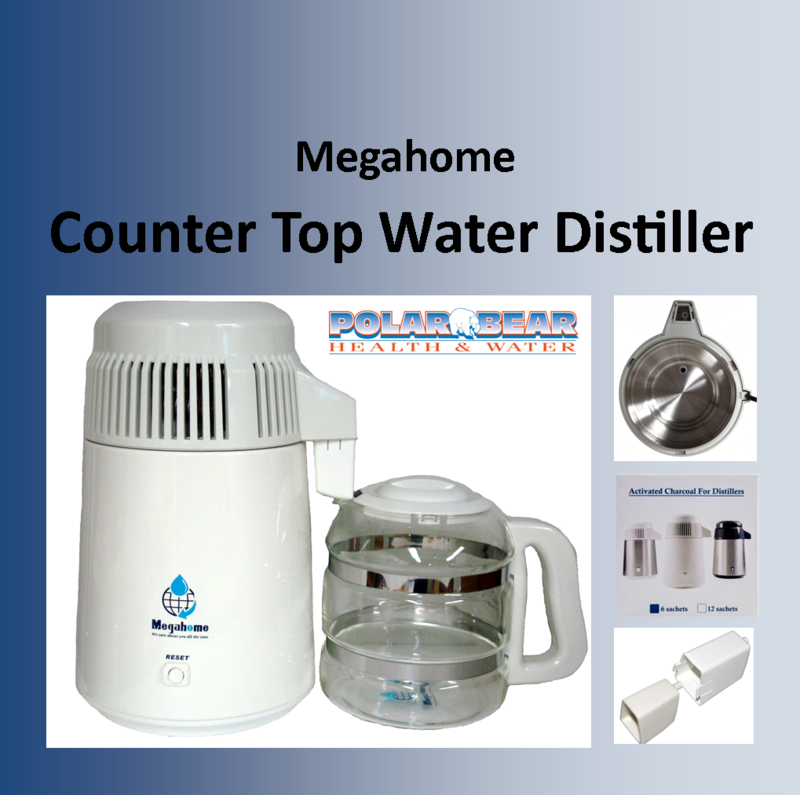 Counter Top Water Distiller, manually filled, white exterior, stainless interior, with glass container. For a safe, reliable, supply of water. Megahome Water Distillers, brings to you steam distillation. A pure process of water purification… to produce clean, healthy, drinking water in your own home or business. ** Free Shipping offer does not apply to this item. We will provide a discounted shipping rate on this item. 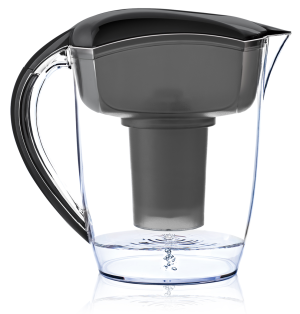 MegaHome Water Distiller gives you clean water at home; there is no need to buy bottled water. It makes delicious water not only for drinking but for all your cooking needs. Environmentally Friendly! Water made in the machine does not touch any plastic. How it works: This little distiller produces the purest cleanest water in a most natural and effective way. When the distiller is turned on, the water temperature rises gradually. 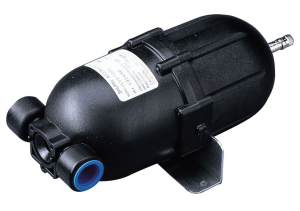 When it reaches 100OC, bacteria, and viruses in the water are destroyed. Chemicals, heavy metals, sodium and other contaminants, will be left as a residue at the bottom of the stainless steel boiling tank. The steam is cooled as it passes through the stainless steel cooling coils. 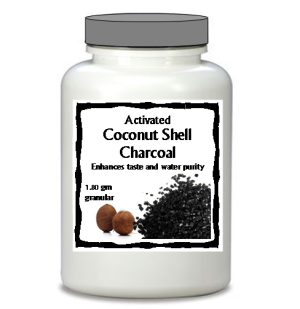 Impurities and unpleasant odors will be removed as the distilled water drops passes through the activated charcoal filter. Easy to Use: Simply add water, press the start button and let the distiller do its work. It will automatically shut-off after completing the distillation process. Clean, Great Tasting, Pure Water! Interior: Stainless Steel Boiling chamber, Stainless steel dome and condensing coils. Made in Taiwan UL,CSA,CE,CB,and GS certified. Do your planet good… plastic bottles and throw away/replaceable filters are just adding waste to our delicate planet. Dont waste water to make water. 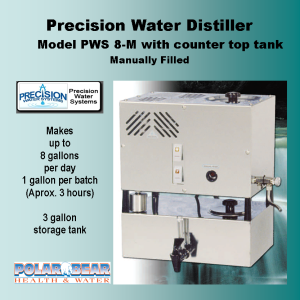 Distillation is the most natural way of purifying water—Mother Natures Way, with a Mega Home Water Distiller.